Whether you’re planning a birthday party, reunion or a celebration of great proportions, you’ll want a venue that exudes style and a menu that looks and tastes exquisite, without breaking the bank. 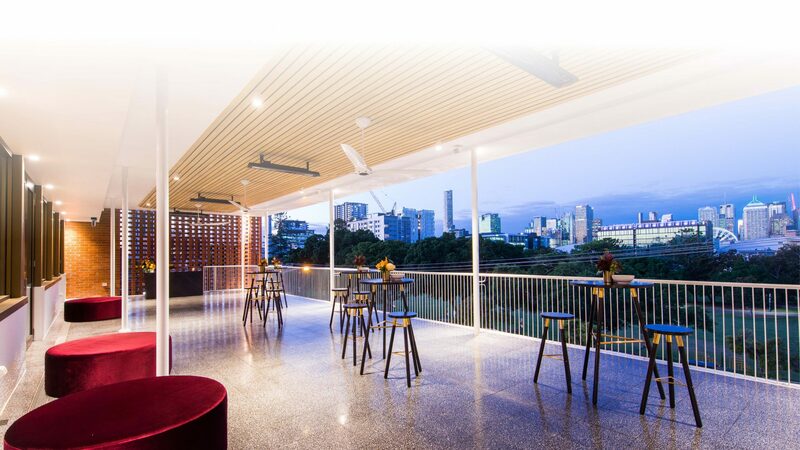 The Greek Club offers 11 newly-renovated party spaces, showcasing incredible views of the parklands and Brisbane city skyline. Our team of hospitality experts is committed to tailoring the perfect party package to suit your individual needs. Life is short, your special moments deserve to be celebrated! Host a party you’ll never forget at the Brisbane venue that welcomes you like family and where every day is a celebration of life. The Greek’s certainly know how to throw a party, and The Greek Club is no exception to the rule. Select from our all-inclusive party packages or ask our friendly team to tailor a party package for you. Beautiful 18th soirees, roaring 21st parties and 30th birthday bashes – they all have a home at The Greek Club, Brisbane best party venue. It’s hard to think of a better way to celebrate another year than ouzo quencher cocktails and Greek street eats, but throw our sophisticated modern Australian menu into the mix and you have a tough but delicious choice on your hands. Not only do we have your party catering sorted, our stylish event spaces with private bar access and city views will have you doing the Zorba all night long. When you’ve been planning celebrations since ancient times, you get quite the reputation as a party connoisseur. Trust The Greek Club to plan your perfect party event and prepare for a Hellas of a celebration. Opa!